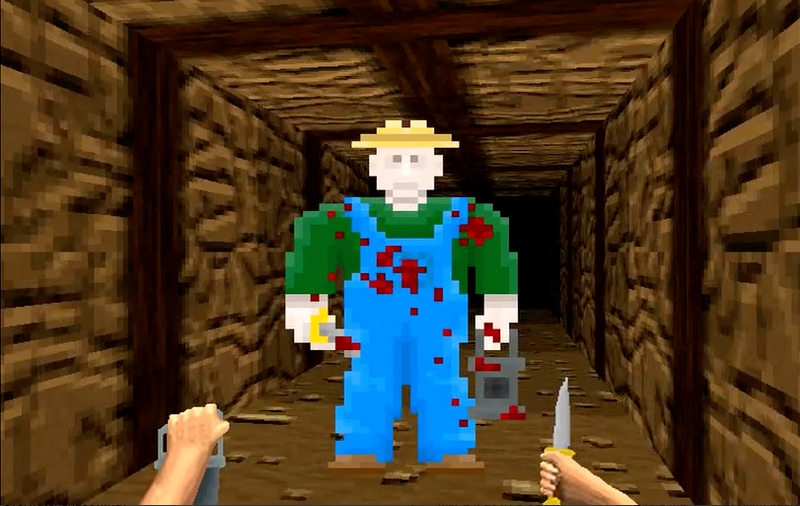 Moirai is a first person adventure game set in an idyllic farming village full of secret tragedy. Players explore a deep mine in search of a missing woman, armed only with a knife and their morality. It’s this week’s Indie Pick. I definitely recommend playing Moirai before reading further. The game is free for PC, Mac, and Linux and will only take you around five to ten minutes to complete. In order to talk about the game, it’s necessary to spoil a very important twist that forms the core of its themes and experience. Moirai is named after the three Fates of Greek mythology, ancient women who held the thread of life for every mortal being. Fate rests at the center of Moirai, starting with players stumbling across a knife-bearing man within the town’s mines. He is covered in blood, looking sinister as he lurks in the darkness. The player can ask pre-selected questions: why is he covered in blood? What happened? What did the man do? The answers can seem cogent or wild, offering measured explanations for the his deeds or spewing vile slurs. Players can choose whether to kill the man or let him pass. The nature of this conversation becomes clear soon after, when the player finds a wounded woman covered in blood, begging to be killed so that her suffering will end. The player can agree to kill her and end up covered in blood or walk away. If they choose the latter, she spits blood on them. When they leave, a farmer finds them and asks the same questions. What happened? Why is there blood? Why do you have a knife? This time the player types out their answers, and the game fades to black. Moirai’s main twist is that it is secretly a multiplayer game; you are reacting to the decisions and words of whoever played the game last. Later, the player receives an email to an address they provided revealing their fate and outlining what the other farmer did. 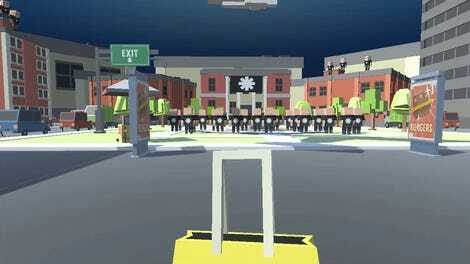 The game uses this setup to ask players to make a difficult choice in a vague situation. One of the game’s developers, Chris Johnson, looked at the results in a postmortem: only 41 percent of players were killed at the time of the analysis. For whatever reason, be it the unclear situation or a tug of morality, most people didn’t kill their fellow players. More interestingly, over half of all players (52.85%) did include certain ban-able words in their replies. I encountered this very problem, stumbling upon a blood-covered farmer far too eager to drop racial epithets. In spite of my frustrations, I let them live. I received an email later that night: my life had been spared too. In the end, Moirai’s small scale belies the complexity of the scenario at play, which demands a great deal of consideration on the part of the player. The slow realization that you were dealing with another player all along creates a very particular sort of reflection that can’t help but make you wonder how you were perceived in turn. Whether you killed or spared the other player, Moirai wants you to reminds players that very few things are exactly as they seem. If you’ve found a cool game or made something you’re proud of, reach out to me atheather.alexandra@kotaku.com or on Twitter @transgamerthink.